The objectives of the Mineralogy Petrology and Gemmology (MPG) department is to provide up to date technical know-how through various training in Mineralogy/Petrology, Gemology and Value Addition Techniques (Gem Cutting and Polishing), to provide accurate and timely delivered analytical services and to provide technical assistance to the mining community through advisory and consultancy services. 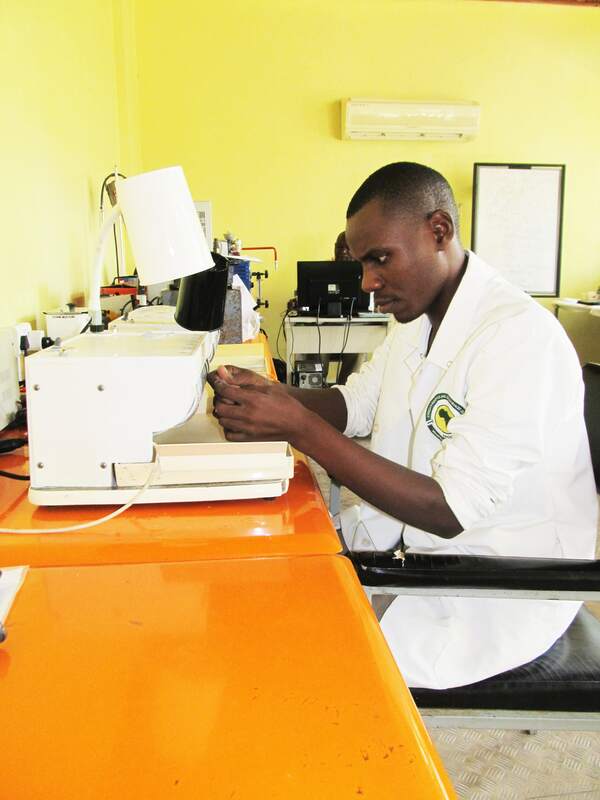 The department utilizes the skills of its staff to address crucial issues in the mineral sector such as lack of technical knowledge on mineral testing and identification, evaluation, grading and value addition techniques. The MPG Department has expertise in Mineralogical and petrological sample preparation and analysis, Mineralogical evaluation of industrial minerals, ore minerals and clays, Gemstone identification and grading, specialized training in Gemmology, Gem Cutting and Mineralogical and Petrological Sample Preparation and Analytical Techniques. To carry out analytical work the laboratory is equipped with up to date petrographic microscopes, gemological microscopes, gem identification tools and equipment, gem cutting and polishing machines, automated and semi-automated rock sample preparation machines. Automated mineralogical and petrological studies, ore characterization and mineral liberation analysis for efficiency enhancement of chemical and mechanical separation techniques for precious metals are carried out by Scanning Electron Microscope equipped with an integrated mineral analyzer. A new X-Ray Diffractometer for clay and industrial minerals characterization will be installed to replace the old one during the second quarter of the financial year 2017/2018. The specialized training in mineralogy and petrology targets technicians and geologists from geological surveys, mining companies and other geoscience institutions. The trainings impart knowledge on various preparation techniques and analytical methods. Business oriented training in Gemology and Gem Cutting targets gemstone miners, dealers, brokers, buyers and individuals who are planning to venture into gemstone business. 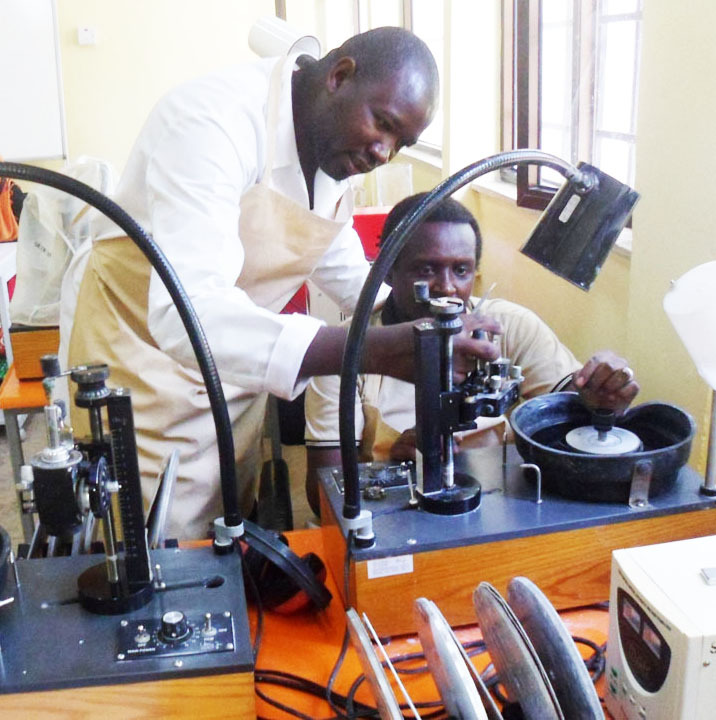 These training empowers participants with identification techniques, business skills and value addition techniques to enable them to establish and operate gem cutting industries and gemstone businesses.